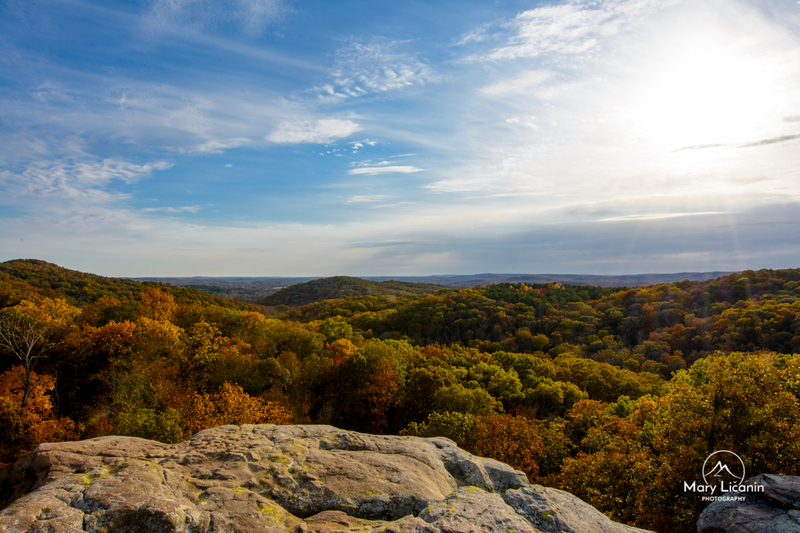 The view from the edge of a rock formation at Garden of the Gods in Southeastern Illinois. Standing here I couldn’t help but feel so small, and realize what an amazing world we live in. Miracles around us if only we stop long enough to recognize them. I was standing there thinking how amazing it would be to be a bird and be able to fly above all this – but I think being able to take this photo was the next best thing!